When it comes to content, sometimes old school can be a good thing (namely, when it comes to old school rap or Throwback Thursday on Instagram). But when it comes to your company’s public relations strategy, being old school isn’t advantageous for your business or your brand. Ten years ago, people still relied on morning papers for news. Today, the vast majority of your company’s customers and prospects scan headlines on Twitter or see what’s trending in their Facebook feed. Download our free press release template here to learn how to write a top-notch press release. People now have control over where, when, and how they consume information. As a result, public relations is no longer about feeding into a traditional news cycle; it’s about providing relevant content when, where, and how your prospects, influencers, and customers will consume it. One of the most crucial updates to make to your PR strategy is to think of press releases as an opportunity to connect to the audiences you care about — including, but not limited to, reporters. What Is a Press Release / News Release? 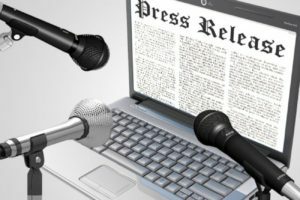 Whether we call it a “press release,” a “press statement,” a “news release,” or a “media release,” we’re always talking about the same basic thing: an official announcement (written or recorded) that an organization issues to the news media and beyond.press release writing services represent the key to efficient and affordable self-promotion. Press releases deliver exceptional results for virtually any business, regardless of its size, profit margins, profile and industry; which means that this type of content could also work like magic for you. This brings us to the next question: what exactly should you expect from world-class press release writing services? As a small or medium business owner with limited resources, you could spread the word about your company and products or services in the most effective manner, without breaking the bank to reach your target. The old adage that content is king and distribution is queen, is still true, so you’ll want stellar copy that will sweep your potential buyers off their feet and make them daydream about your merchandise and talk about it in their sleep. In this moment, the question that you should ask yourself is this: how do you choose the right type of content and distribution services to achieve this specific goal? While landing pages help you introduce your brands and goods to the world and convert leads into customers, blog posts allow you to establish a more personal connection with your readers, by answering some of their most burning questions, offering advice, expressing your expert opinion and sharing your insight with your audience. 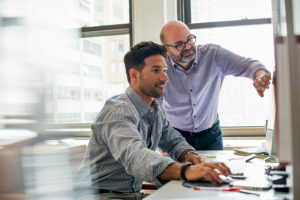 Conversely, press releases let you build trust and authority on different fronts, by stimulating journalists and media outlets to cover your story, and also by giving your prospects a new reason to visit your store, land on your website, find out more about your most recent accomplishments and try, buy and spread the word about your new product or service. A well-drafted press release brings credibility to your company and allows you to stay in the public eye, while boosting your profit margins, by highlighting the most remarkable key benefits and features of your products or services that position your company on top of any other alternatives currently available on the market. Topics of press releases can be widely varied; from different occasions, to announce a series of achievements, such as new technological developments, a product or service launch, a new partnership with a prominent company, a milestone that you have just reached or new acquisitions. Each event that we’ve mentioned is newsworthy enough to command attention and put you and your business into the spotlight. Press Release campaigns should be a part of your company’s content marketing toolbox to enhance your online visibility, become more popular and make more money. Press releases represent an exceptional, incredibly affordable marketing addition that you should add to your campaign. You simply cannot go wrong with these tools because they are designed to be controlled by their creators in terms of targeted audience and message. Press releases are a great way to build trust and credibility in your field or niche. An excellent PR campaign will offer you the chance to brand yourself as a high-authority artist/business owner and underline the unique attributes of your products and services. According to the data shared by ereleases.com, 80 million people worldwide go online daily, looking for unique insight and exclusive stories. This impressive number reveals just how important it really is to use every available tool in your marketing arsenal to push your feature to the top of your prospects’ news feed and boost your exposure. How are you different from your competition? Using press releases, you can explain that, while also including one or two links to your blog or website, to guide your reader towards other platforms where you promote and sell your goods. Without trying to game the system, you could still boost website traffic via press releases (and any other type of quality digital content for that matter), by simply optimizing the key elements of your copy, including keywords, headlines, videos, photos, podcasts, hashtags and description. Density of real value content over quantity will be the successful trend of 2017 press releases. Press releases published by several media outlets will offer you valuable backlinks to your website or landing pages. Moreover, by optimizing your content, with targeted keywords, you could increase its visibility online and make your articles searchable on the Internet. Tags pointing to your topic and a set of relevant, industry and company-specific keywords are extremely important elements that you should add to your copy to optimize your press releases and unleash instant SEO benefits. Press release distribution services are industry-specific and ensure location targeting, a prominent advantage that increases your odds of promoting your message in front of an already interested audience that is more likely to respond to your Calls To Action (CTAs). This type of services based on geographical location can maximize your reach and help you get in touch with prospective customers, clients and patients who share your vision, mission and interests and would be more inclined to test, buy and recommend your products or services. When you’re striving to make a name for yourself in an overcrowded market, it is vital to explore all available mediums to express yourself, build and maintain a connection and engagement with your public, receive financial support for your upcoming project and lure customers. Press releases ensure media coverage and can help ensure that targeted audiences see your story in popular newspapers and magazines or hear about most recent accomplishments on the radio. All these channels can support your marketing efforts, turning you into a much more powerful player in your industry. Press releases enable you to create stronger ties with journalists who are looking for a good story to share with their readers. A well-written press release will enable you to capture the attention of several media outlets and create win-win situations with influencers in your industry who need to cover interesting facts to stay relevant and competitive in their niche. Press releases offer you one of the simplest and most affordable methods to build your online reputation and increase your visibility on your market. Aside from making your goods seem more desirable in the eyes of your prospects and attracting more customers, press releases can help you capture the attention of investors who could become your future sponsors, lift your startup off the ground and fuel your rise to the top in your niche. As the role of online marketing continues to expand, it’s more challenging than ever to keep a pulse on what changes are occurring in the field. Continued learning is critical, and if you’re not taking the time to keep up with industry news and marketing trends, your efforts may fall flat.If you’re worried you might have missed something major this year, we have you covered. Social media marketing is one of the fastest growing marketing niches, and 2016 brought about much-improved search functionality. In late 2015, Facebook booted Bing and replaced site search with their own algorithm that allows visitors to search all public posts. This year, Twitter updated its advanced search capabilities to allow for long-tail keyword searches. For marketers, social search is exciting because it allows for brand content to be discovered organically. However, increased organic traffic is just one benefit of enhanced social search functionality. Social search is also an effective research and targeting tool. For example, marketers can search for any term on Facebook and find public posts using that term. Then, results can be filtered by source, location, and date, allowing you to find results for people that already follow your brand, are located in your area, and have posted questions about the term you searched for. These kinds of insights drive content marketing that speaks directly to your audience’s needs. Not to mention, B2B organizations implementing account-based marketing can use these unique insights to inform their targeted campaigns. Real-time marketing revolves around current and topical events, and it’s an effective way to earn a big boost in traffic and visibility. It’s easier than ever to find trending topics these days: Google Trends provides you with daily updates on the most popular searches, Twitter tells you what hashtags are trending at any given moment, and Facebook provides up-to-date information on popular topics. During the 2016 Super Bowl, Gatorade created a Snapchat filter that allowed users to share a Super Bowl tradition—dumping Gatorade on the coach—with their friends. The filter got more than 100 million views, and got Gatorade in on the big event without paying for an in-game commercial. Change is going to happen whether you pursue it or not. Modern enterprises succeed when they adapt to industry and marketplace shifts and incorporate new technology into company culture and regular operations. However, digital transformation isn’t only about technology, it’s about bringing together the power of technology with a culture that embraces the change that it can lead for the organization. 4. Growing importance of the user experience: The customer experience (including employees) is the ultimate goal of any digital transformation. Customers are more cautious and distrusting than ever; they’ll turn away from brands that don’t align with their values and needs. 5. Innovation must happen fast: Proactive innovation is one of the best ways to stay competitive in an evolving marketplace. New technology needs to be assessed, tested, analyzed, and judged more quickly than ever. Businesses can no longer afford to waste time and resources implementing new tools that offer no real value. This means a “Fail fast, to succeed faster,” mentality. Some projects will work straight away, others will have significant learning curves. The faster your organization can go from idea to implementation the more it can embrace opportunities to transform and even disrupt markets and internal business models. We’ve already talked about adaptability, but that plays a major role here as well. If a company has an adaptive culture where new tech can be easily integrated—or is at least encouraged—that enterprise is set up for long-term success. 6. Embrace the remote workforce: Young professionals prefer flexibility to compensation. Mobile technology and bandwidth proliferation allow businesses to connect with (and retain) top talent anywhere in the world. Contract and freelance employees appreciate the ability to work from home or while sitting on the beach. Companies benefit from having the ability to hire the most talented employees available in any time zone. 7. The advent of augmented reality (AR) and virtual reality (VR): The booming success of the Pokémon GO AR app is a wakeup call to any business that hasn’t evaluated the potential of AR and VR. These technologies were once limited to the gaming realm, but they’re now easier to implement than ever before. The mainstream shift toward AR and VR provides new ways to connect with customers and offer unique, memorable interactions. The popularity of AR and VR also open up the gates for workplace gamification. We anticipate there will be a strong roadmap for incorporating gaming into the workplace along with VR and AR for improved employee engagement, retention and customer experience. 8. Big data and analytics: The importance of big data in the business world can’t be overstated. Despite a dizzying amount of valuable data in the world, few companies are using it to maximum effect. Analytics drive business by showing how your customers think, what they want, and how the market views your brand. In the age of Digital Transformation, almost everything can be measured. In the coming year this will be a cornerstone of how businesses operate. 9. Digital transformation is driven by the Internet of Things (IoT). The IoT offers immeasurable insight into customer’s mind. Businesses and customers alike will continue to benefit from the IoT. With an estimated 50 billion IoT Sensors by 2020 and more than 200 billion “Things” on the Internet by 2030, it is no question that IoT will be not only transformative, but disruptive to existing or outdated business models. 10. Smart machines and artificial intelligence (AI) are taking off in a big way. Our relationships to technology continue to evolve. Soon machines will be able to learn and adapt to their environments. AI has long been considered the realm of science fiction, but as technology improves, AI becomes a reality. AIs will be able to work collaboratively with human professionals to solve intensely complex problems. AI stands to become one of the most disruptive forces in the IT world. 88% (Of Consumers) Say They Trust Online Reviews As Much As Personal Recommendations. “Do reviews affect consumer buying habit?” …YES, of course! 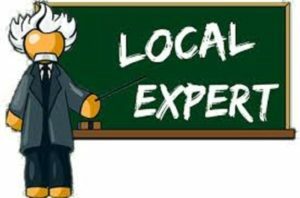 97% (Of Consumers) Aged 18-34 Read Online Reviews to JUDGE a Local Business Online RATINGS. 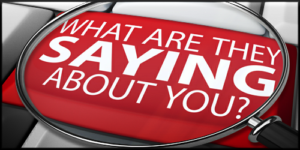 92% of consumers look at online reviews before a purchase. Consumers read an average of 10 reviews or testimonials before making a decision to buy from a business. If you don’t have at Ten 5 Star Reviews, your business is losing customers to your competition…. Lost Sales and Lost revenue. Answer: To Crush your online competition and brand your company as an industry leader in your field. In short, it gets your phone ringing and video 5 Star Reviews go a long way in building that positive online reputation. 88% (of consumers) stayed on a website longer when there was a video. Since Google acquired YouTube, and approximately 80 million videos are watched each day, just having 5 Star Video Review Commercials will boost your ranking in searches done by targeted audiences. Hence, it is also an effective SEO technique as well as solving your reputation issues. Want A Video Like This for your Company? Call For a “FREE STRATEGY CALL” Session with one of our Senior Producers Today! Be part of this Limited Time local business beta program. We create visibly effective PPC campaigns to propel your business aims right through the targeted audiences. Leveraging the most generic processes that bother the advanced search engines of age, we generate a holistic and dynamic PPC campaign in the best cost layouts. PPC has emerged as a robust complement of INTERNET MARKETING strategies. We strive to bring the benefit of this web marketing model through our dedicated and refined efforts so that you actually feel the momentum and synergies. Having worked for large numbers of websites to gain inward traffic, we now have complete expertise in mounting a dynamic PPC campaign. The team of LocalAd Connection has a wide and intensive expertise in the selection of keywords. We rely on the sophisticated reports like Google Trends and Google Analytics to find out the latest keywords’ trends and preferences in the popular domain. Our keywords selection forms the fundamental part of our PPC model and we focus on the specific cost competitive long tail keywords that bring easy traffic to your site. We make out PPC ads after the assimilation of the identified keywords in an appealing manner. Through a holistic ad graphics and keywords inclusion, the clickability of the ads is tried to be optimized. This causes effective lead generation for your site. 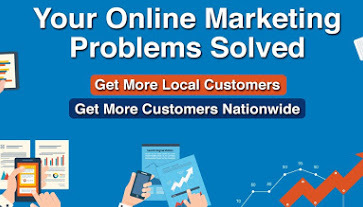 We At LocalAd Connection understand the significance of ubiquitous web visibility and positive web presence especially in the event of overcrowding of the web passages and a hot war to gain top positions in SERP! We therefore have developed SEO as one our prime specializations. We offer super visibilities in our web design and redesign maneuvers for the websites and have worked out holistic SEO solutions. Our SEO expertise is built upon our frontline knowledge, experience, creativity, and skills in the segments of web design and development, using targeted keywords and other marketing techniques. We don’t offer crude SEO which has been patched up from above; rather our solutions are worked out in a generic manner and almost intrinsically with the web design and development tasks. This is the reason that we have been successful in delivering the evident and measurable results for our clients and their websites that now are rated at the top of the generic results on the SERP. We employ a multi-prong and ultra-aggressive approach to optimization. Not only do we optimize your organic rankings, but we also manage and optimize your online reputation and all your social media pages, localized/map listings, and video. This versatile, creative, collaborative and high tech style of SEO, which attacks search engine placement from all angles, is the only way to get YOU the desired results, which is TOP Ranking and a high ROI. Let’s face it, the bottom line is all that matters in this day and age. It’s not enough to be at the top, you need to stay there, at an affordable cost. We, at LocalAd Connection, are a special team of dedicated professionals with frontline competencies in the demanded specializations of Website design and development. Having worked for a good number of clients in the U.S. and abroad, we have developed robust and evident expertise in the segments of SEO, SMO, Search Engine Marketing, Pay Per Click and traffic optimization through dedicated link building, Reputation Marketing, Video Marketing, Expert Interviews, Back Linking, Press Releases and local listings. While we started as a web design and development firm, over the years we have acquired proven calibers to respond to the resonant specializations of traffic mobilization, social media optimization and search engine marketing. SEO can be one of the best marketing vehicles your business has in-place, or it could be a money pit that yields a very little ROI, or even worse, it can cost you money. Who you have implementing, and managing this vertical makes all the difference since 93% of consumers won’t go past the first page of search results to find a business. Knowledge and craftsmanship, in any service industry, is power, and we fuse the two together to cultivate successful, strategic, dynamic, award-winning SEO campaigns for our clients. Optimizing your website, landing pages and all pages where your business is seen on the internet, allows you to brand your business, make you an industry leader in your niche and convert visitors into customers and consumenrs. The Web is the largest consumer resource in the world. It allows you to connect with your potential customers by having your website appear for relevant searches, that they are entering on various web channels, to find the exact goods and services that you provide. Not only can they find you, but they can research your company, your goods or services provided, as well as user experience and ratings like reviews or testimonials. They can make an educated decision about using your company before even picking up the phone, chatting, or sending an e-mail. 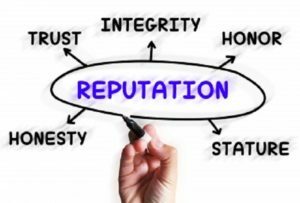 Online Reputation Management (ORM) is one of the most dynamic activities online and one of the most difficult too. It is the only activity where you have little or no control over different situations and/or circumstances which can completely turn around all the hard work invested into a campaign! An outsider speaking about your brand, the brand’s offline activities, and the actions of an important entity associated with the brand, all these can completely change the statistics of your campaign overnight! Positive mentions, neutral mentions and negative mentions! These more or less rule the life of that person who is trying to protect your online reputation. – Ensure that the client get as much positive exposure as possible. Try and get as many positive mentions up in the top 10/20/30 results! – If it isn’t positive, ensure that you have neutral content about your brand! – Neutralize the NEGATIVE content pieces !!!! The easiest way to go about doing this is to ensure that you have positive/neutral content online talking about your brand. (Not that it is easy to do that!).
. Does this Sound Similar to SEO? The lines distinguishing both these services are becoming less distinct by each passing day. The objective of both SEO and ORM now align towards the creation of good, unique and engaging content. Content marketing remains the focus of both services. Reaching out to new people, gaining greater visibility and creating a stronger brand presence are extremely important. The principle of SEO is now to ensure that not only is your brand reaching out to more people but also focus on creating a strong brand presence online. SEO is Now Part of Brand Building. Brand building is becoming a more integral part of SEO activity! ORM has by principle always concentrated on promoting the brand! It seems that a new service package offering Branding + SEO + ORM is the call of the hour. Anyone who has an online store, not only wants to increase their presence and standing, but also wants to ensure that their brand is being recognized by their target audience. Your business reviews aren’t favorable. Negative reviews high up in search results can become a sure-fire way to lose interest before you have even gained it. What’s more, Google will highlight those reviews with stars making them stand out in search results. Unless you have established an internal system of managing and monitoring your customers, in many cases, you’ll need to track down the original source, so follow the unflattering suggestions to their results pages. Sometimes it will be reviews on official sites like Yelp, and you can comment to tell your side and to offer a solution to the poster. Other times it may be a blog, and that is when you have to contact them directly. Ask them to take down the review in exchange for offering up a solution to whatever is bothering them. Ask them to try working with you, your service or your brand again, then writing a second review mentioning the first and how things may have been different this time. If it is a reasonable person they should have no trouble doing this. Occasionally you may come across a troll, in which case legal action may be required. In the meantime, or if this isn’t possible, you can bury those results with plenty of varied and high quality content and mentions across the web. Include a lot of social posting mentioning your name in that campaign. An outsider speaking about your brand, the brand’s offline activities, and the actions of an important entity associated with the brand, all these can completely change the statistics of your campaign overnight! Since you work closely with the brand, you become the official channel of sorts, responsible for creating content and syndication across mediums and platforms! The principle of SEO is now to ensure that not only is your brand reaching out to more people but also focus on creating a strong brand presence online. 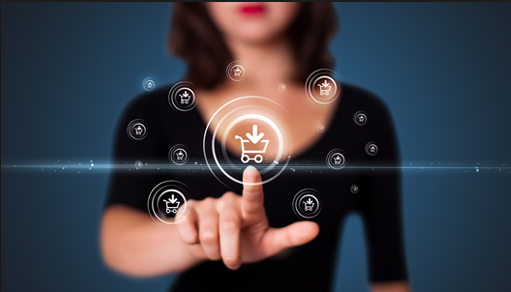 Anyone who has an online store, not only wants to increase their presence and standing, but also wants to ensure that their brand is being recognized by their target audience. Ask them to try working with you, your service or your brand again, then writing a second review mentioning the first and how things may have been different this time.